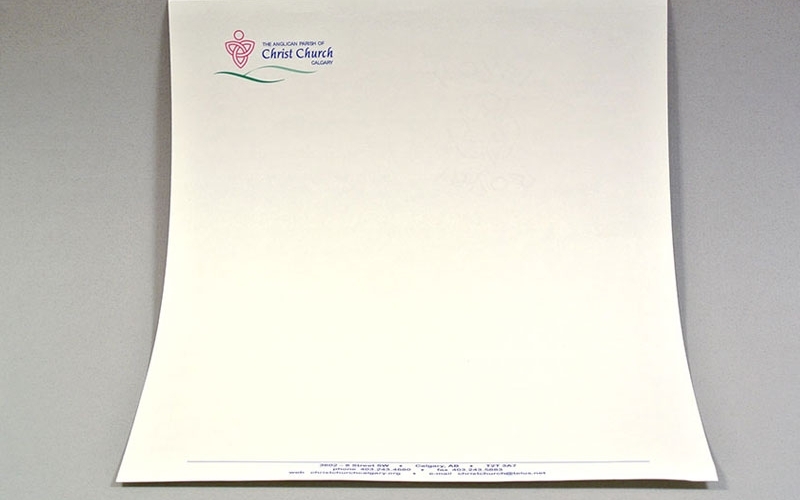 For letterhead printing in Calgary, think Minuteman Press Beltline! 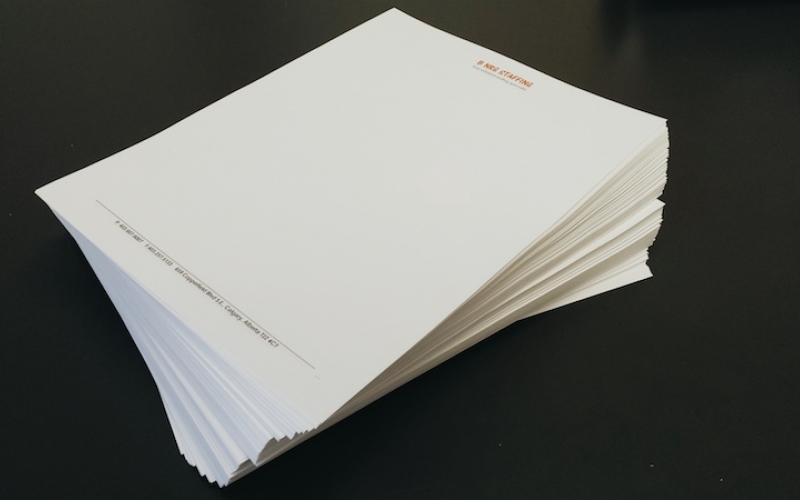 With a variety of paper options and colours to choose from for your letterhead printing, the options to make your business stationery stand out are endless. 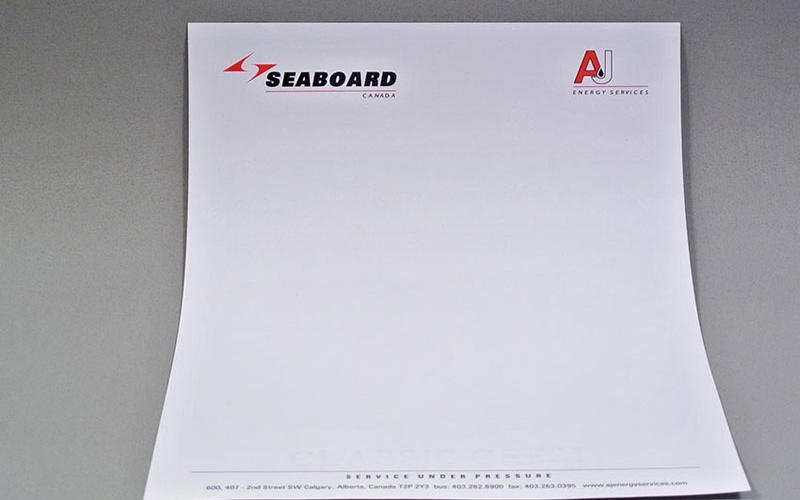 Impress your client with a professional letter sent on company letterhead. 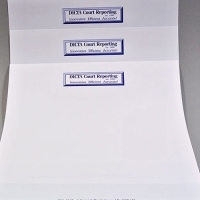 Give your vendors or volunteers a professional recommendation on your printed letterhead. That recommendation will go on their office wall for years to come! Invoices that are printed in color (perhaps on your letterhead) or on coloured paper tend to be paid faster than generic invoices! Why is this? 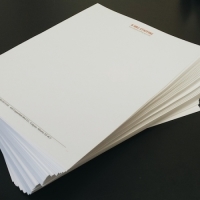 Coloured paper stands out from white paper, which is used by most companies to print their invoices. Customers can come to immediately recognize your brand colors over time, and this makes it easier for them to find your invoice in their stack of payables. 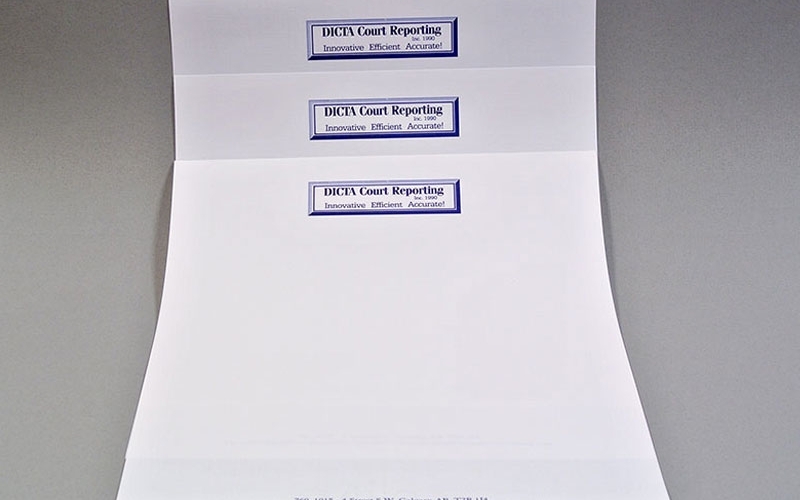 Printed letterheads with your brand Pantone colors are also ideal for letter-mail campaigns. 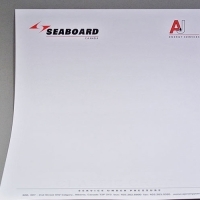 Print generic letterheads with your company name and slogan and use them to print variable letters in B&W. Save on color printing costs! Mail them to your clients personally introducing other services, products or a change in your operation. Let your brand colours show vibrantly on your communication material. 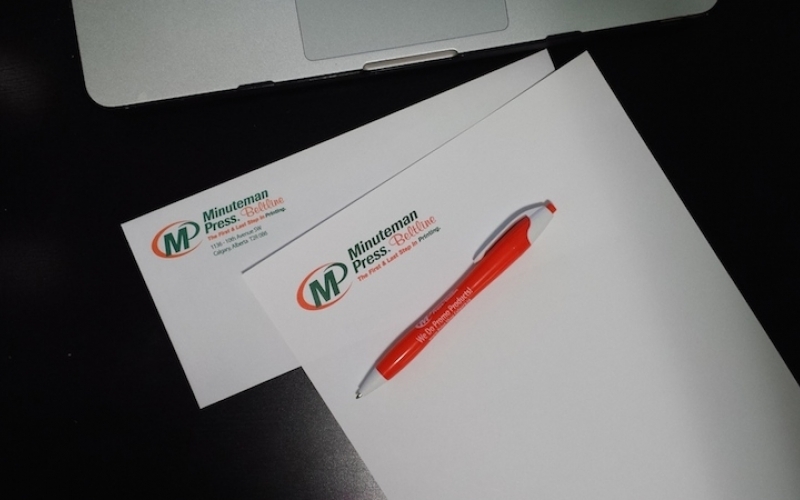 Minuteman Press Beltline is one of the leading printing companies in Calgary, providing all the printing and graphic services you need. We produce the best business cards, banners, vehicle wraps, stationary, postcards, posters, flyers, brochures, signs, custom-printed promotional products, and comprehensive direct mail services, plus a vast array of additional printing services. 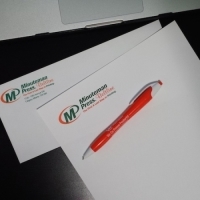 Your best choice for printing in Calgary is Minuteman Press Beltline! 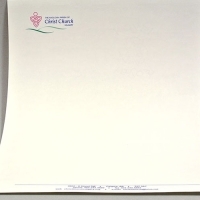 We offer among the largest selections of papers, card stocks, and other printing materials for you to choose from. These include recycled paper, coated & uncoated bond, photographic paper, high gloss, matte, vinyl, and carbonless, plus an exclusive selection of fine stationery and specialty papers in every colour of the rainbow. Our talented and experienced graphic design team can work with virtually any file you send, or design your project from the ground up.